Let’s talk about party food, shall we? When I host, or attend and help cook for, a cocktail party I like to think about finger foods and two-bite dishes that are easy to eat, pretty and not too messy. 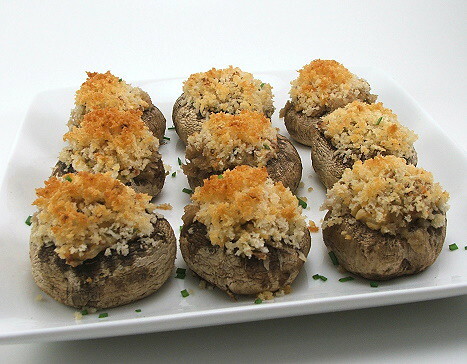 I like savory dishes that stand up to a variety of cocktails and beers, and nothing does that better than mushrooms. 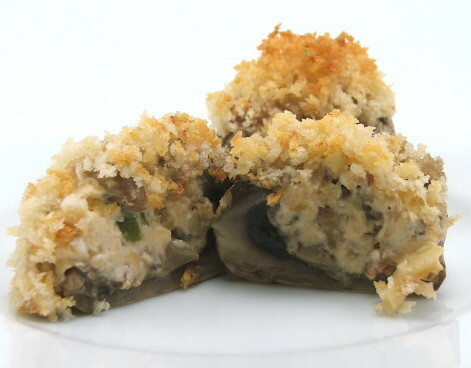 These mushrooms are stuffed with a mixture of cheeses which is studded with crisp fried bacon and minced jalapenos. 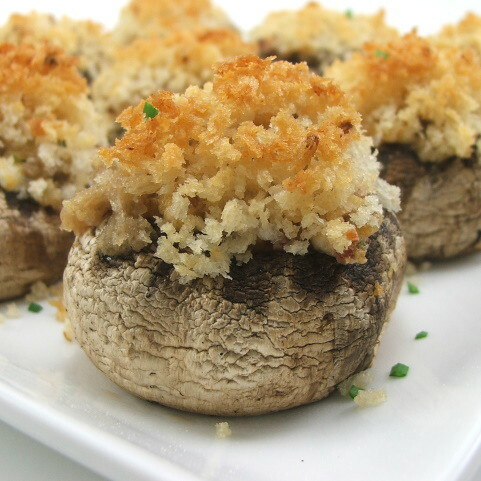 The smoky bacon and the zing from the jalapenos balance with the rich cheese, while the panko topping is a nice crunchy contrast to tender mushroom and creamy filling. These are a perfect foil to just about any sweet drink, and great with beer. 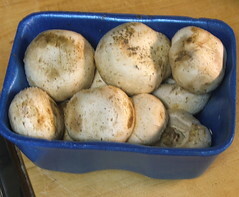 I used the larger ‘stuffing’ sized mushrooms, but if you made them with standard button mushrooms they would be a lovely ‘pop-in-the-mouth’ bite. 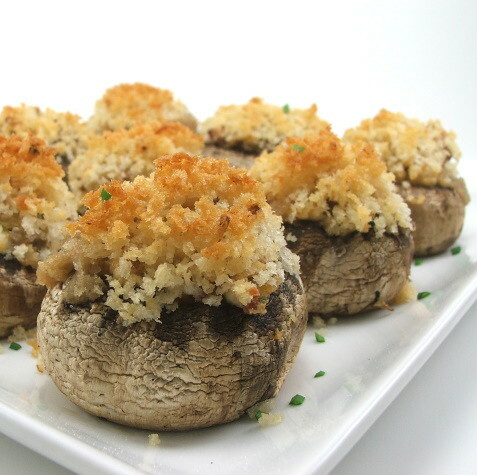 As a bonus, you can easily make these vegetarian by omitting the bacon and using olive oil to soften the veggies for those who avoid meat or pork. 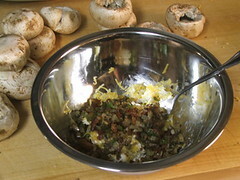 Begin by preparing the panko topping. 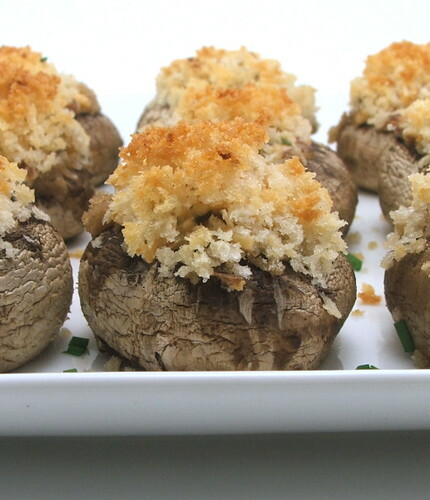 In a small bowl combine the panko bread crumbs with the melted butter. 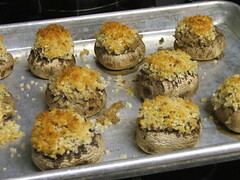 Toss until evenly coated. Set aside. 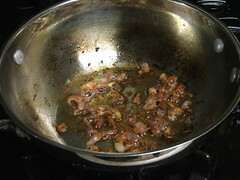 In a small pan over medium heat cook the chopped bacon until crisp. 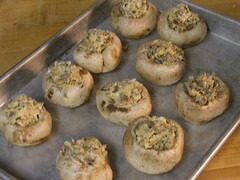 Add the chopped vegetables and mushroom stems and cook until softened, about five minutes. Season with salt and pepper to taste. Set aside to cool slightly. 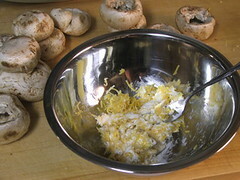 In a medium bowl mix the shredded cheese with the cream cheese until well combined. 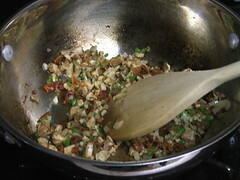 Add the warm vegetable mixture and mix well.